In a sign of improving relations, Japanese Prime Minister Shinzo Abe visited China, the first visit by a Japanese Prime Minister since 2011. Together with Chinese President Xi Jinping, he announced 30 joint infrastructure projects related to the Belt and Road Initiative (BRI). China and Japan also signed 12 intergovernmental agreements, including one on a bilateral currency swap of CNY200 billion. The swap agreement aims to safeguard the financial stability of both countries and will be valid for three years. Another agreement was signed to set up a renminbi clearance bank in Japan. The 10 other documents will boost bilateral cooperation in such fields as securities markets, innovation, sports, customs clearance and eldercare. In addition, over 50 deals, valued at more than USD18 billion, were inked by companies and financial institutions from both countries during the first China-Japan Third-Party Market Cooperation Forum, which was attended by Premier Li Keqiang. 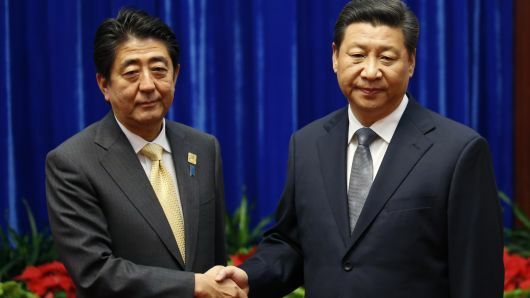 President Xi Jinping called for more efforts with Japan to expand common interests, safeguard multilateralism, support free trade and promote building an open global economy. Trade between China and Japan surged 10.7% year-on-year to USD243.71 billion in the first three quarters of this year, according to China’s General Administration of Customs. Chinese Premier Li Keqiang completed visits to Belgium and the Netherlands. China and the European Union have made progress in negations to conclude a bilateral investment treaty (BIT), Li said when meeting the press alongside Belgian Prime Minister Charles Michel in Brussels. Li also discussed accelerating BIT negotiations with EU leaders at the 12th Asia-Europe Meeting summit. “The treaty will help China and the EU further open to one another,” he said. China is ready to ease market access for investors from Belgium and provide them with the same treatment as local businesses, the Chinese Premier said. He added that China is willing to further enhance cooperation with Belgium in innovation and high-technology. Cooperation in technology and innovation as well as safe use of nuclear energy were among the topics of talks between Li and Michel. “We believe that advanced technologies from Belgium will have great market potential in China, and China will give strict protections to intellectual property,” Premier Li said. “China is now working on the procedure of lifting the ban on imports of beef from Belgium, and we will accelerate the process,” Li said. 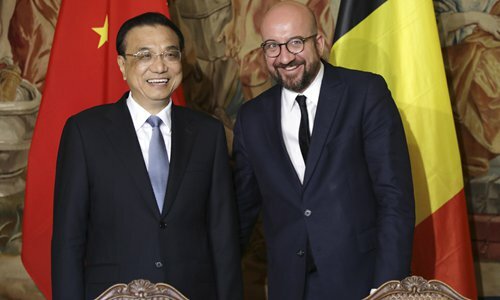 “We are ready to expand imports of high quality agriculture products from Belgium.” Premier Charles Michel said that Belgium is willing to enhance cooperation with China in areas of agriculture, energy, infrastructure and connectivity. Premier Li also visited the Netherlands. In a joint press conference with Dutch Prime Minister Mark Rutte, Li said that China will further expand its market access in manufacturing and financial and other services to worldwide investors. Agreements worth close to USD10 billion were signed during the visit. Li said that some European companies have already benefited from China’s new opening-up efforts in easing equity share limits in basic manufacturing industries. China is willing to further cooperate with the Netherlands in agriculture, manufacturing and services. Calling the graying of the population a challenge facing both countries, Li said China is ready to learn from the experiences of the Netherlands and expand cooperation with the country in taking care of the elderly, as well as in clean energy and urbanization. Premier Li also called to jointly protect multilateralism and free trade. “Without free trade, there is no such thing as fair trade. And free trade cannot be sustainable without fair trade,” Li said. He told Premier Rutte that China is willing to strengthen coordination with the Netherlands on reform of the World Trade Organization (WTO), the China Daily reports. It was the first trip by a Chinese Premier to the Netherlands in 14 years. Lithium Werks, a Dutch battery start-up which makes rechargeable lithium iron phosphate batteries, agreed to build a 1.6 billion euro plant in China’s Yangtze River Delta region. The plant will be the company’s second in China and will be able to produce batteries with 500 GWh storage capacity per year by 2030. Royal Dutch Shell and China National Offshore Oil Corp (CNOOC) also signed a deal to develop a third-phase project valued at billions of U.S. dollars. The two operate a joint venture at the Nanhai petrochemicals complex in Huizhou in Guangdong Province. Xiamen Airlines and KLM Royal Dutch Airlines intensified their partnership with a memorandum of understanding (MOU) on maintenance worth CNY2.8 billion. ING and the Bank of Beijing signed an agreement on setting up a joint venture retail bank in China worth CNY3 billion, with the Dutch side holding a 51% stake. The Netherlands is China’s second-largest trading partner in the European Union. Bilateral trade volume between the two countries reached USD78.38 billion in 2017, an annual increase of 16.5%. Premier Li also attended the 12th Asia-Europe Meeting (ASEM) Summit in Brussels. Launched in 1996, the ASEM Summit is a venue for dialogue between Asian and European countries. The theme of this year’s summit was “Europe and Asia: Global Partners and Global Challenges”. Asian and European countries should work together to play a guiding role in protecting multilateralism and to build an open global economy, Premier Li Keqiang said at the Summit. Dutch Prime Minister Mark Rutte paid an official visit to Beijing, where he held talks with his Chinese counterpart Li Keqiang and met President Xi Jinping. He also attended and gave a speech at the Boao Forum for Asia in Hainan province. Business leaders of both countries signed 30 agreements during the visit in the fields of agriculture, health, waste management and green transport. Premier Li called on the Netherlands to take a greater role in the Belt and Road Initiative and promote negotiations on a bilateral investment treaty between China and the EU. 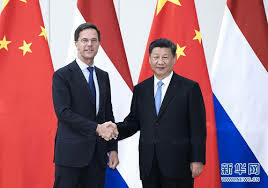 Prime Minister Rutte urged the U.S. and China to scale back their trade dispute, adding that the EU should be cautious about getting involved in the confrontation. “Trade tensions will help nobody,” Rutte told the South China Morning Post. “We are focusing on de-escalating tensions, we are calling on the US to make sure they work in the multilateral system and China to acknowledge where the trade imbalances are,” he said in Hong Kong, prior to his visit to Beijing. He also urged the U.S. to use the World Trade Organization (WTO) to resolve its trade disputes. China and the Netherlands plan to deepen cooperation in such fields as modern agriculture, energy preservation, environmental protection and urbanization this year, according to Yu Jianlong, Secretary General of the Beijing-based China Chamber of International Commerce. The bilateral trade volume between China and the Netherlands grew by 16.5% year-on-year to USD78.38 billion in 2017, and China remained the Netherlands’ third-largest trade partner after Germany and the United Kingdom. Goods trade between the two countries also jumped 19% year-on-year to USD13.32 billion in the first two months of this year. China mainly exports manufacturing equipment, port cranes, steel, wind power products, electronics, textiles, garments and household appliances to the Netherlands. The Netherlands mainly exports dairy and other agricultural products, water treatment equipment, chemical and pharmaceutical goods, mechanical equipment, transport materials and tobacco to China. To bolster the growing trade between the two countries, several Chinese cities such as Nanchang, Yiwu and Chengdu have operated regular freight trains to Rotterdam in the Netherlands since 2015. “Biomedicines, new materials, high-end equipment, and science and technology services will be the hot areas for businesses from the Netherlands to invest in China in the next stage,” said Sun Fuquan, Researcher at the Beijing-based Chinese Academy of Science and Technology for Development. Following the acquisition of Rainbow Biotechnology Co (China) in Inner Mongolia last November, Royal DSM will launch a new innovation center in Tongxiang, Zhejiang province, this year. AkzoNobel expects its business growth in the Chinese market to “maintain the current momentum” in the future as China is one of the company’s most important markets, accounting for approximately 12% of its total revenue each year, according to Lin Liangqi, President of AkzoNobel China. Dutch dairy firm Royal Friesland Campina plans to invest €100 million in the China market this year, CEO Hein Schumacher said in Beijing. The investment will be used to expand the production and sales channels of Friso, the company’s high-end infant and toddler formula brand, and further expand its sales in smaller Chinese cities, as it projected that about 50% of its future growth in China will come from third to sixth-tier cities. In 2017, Friesland Campina sold between 20,000 and 30,000 metric tons of Friso and Friso Prestige infant and toddler formula in China. This year, it aims to sell more than 30,000 tons of the products and launch more new consumer dairy products such as cheese. 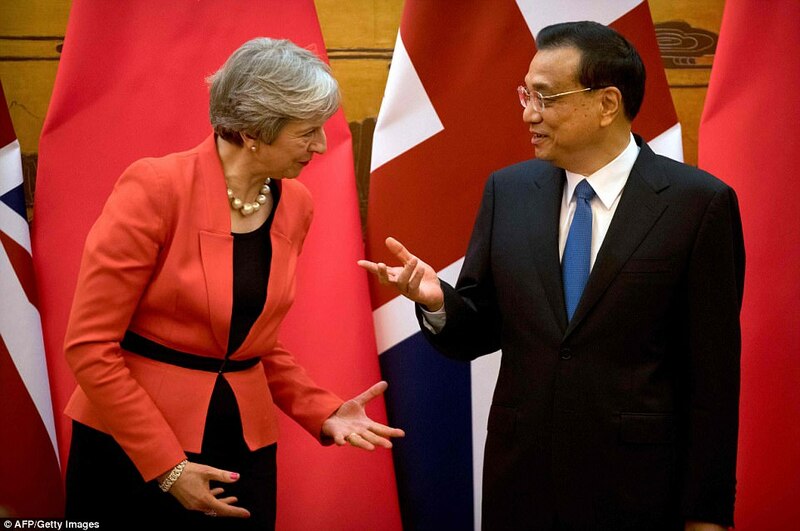 China’s relations with Britain will remain unchanged through Brexit, Premier Li Keqiang said, as British Prime Minister Theresa May began a three-day visit to China. The UK hopes to sign a free trade agreement with China, but formal talks would not begin before the UK leaves the EU. “Our relationship will not change because of changes in Britain-Europe ties,” Premier Li said. But he acknowledged there would need to be an adaptation. “While we must adapt to these changes, we will assess and talk about future bilateral trade and investment arrangements, to continue to push forward China-Britain relations, including trade and business ties,” Li added. British PM May said she was committed to deepening the relationship in light of Brexit and would explore all options in future trade ties. May was accompanied by a delegation of 50 business leaders and representatives, which her office said was “the largest” her government has ever taken overseas. May said the two countries agreed to more than GBP9 billion worth of deals during her visit. The agreements covered areas including trade, finance, health care and smart cities. China had also agreed to lift a ban on British beef exports within six months. The two governments have also agreed to team up in building the financial and technology zone in the Xiongan New Area, about 100 kilometers southwest of downtown Beijing, and the China-Britain Innovation Industry Park in Qingdao, Shandong province. The UK-China CEO Council, a platform for exchange and cooperation for businesses in the two countries, held its first meeting in Beijing. It is composed of 15 companies from China and 16 from the UK. They include the Bank of China, Huawei Technologies, BP and Jaguar Land Rover. Two venture capital firms – Future Planet Capital and Eight Great Technologies – received CNY8 billion in funding commitments from Chinese investors to invest in Britain’s most innovative biotech, medicine and life sciences companies. China accounts for just a small proportion of British exports, 3.1% in 2016. By the end of last year, Britain had made direct investments of USD1.5 billion in China, while China’s non-financial investment in the UK hit USD1.53 billion. French President Emmanuel Macron met his Chinese counterpart Xi Jinping in Beijing last week. Xi said China stands ready to work closely with France to enhance cooperation including under the framework of the Belt and Road initiative, to which Macron replied that France would like to take an active part in the initiative. 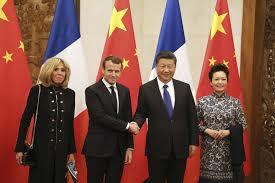 Macron began his three-day visit in Xian as a gesture to Xi’s New Silk Road project to connect Asia and Europe by road, rail and sea. Macron said the Belt & Road Initiative “represents a real opportunity to create bridges, through exchange, between countries and civilizations, just as the ancient silk routes once did”. Both Presidents oversaw the signing of business deals worth billions of dollars in nuclear, aviation and other key sectors, including a memorandum of understanding for Areva and Chinese counterpart CNNC to build a €10 billion nuclear spent fuel reprocessing plant in China. Airbus announced an agreement with Chinese partners to increase production of its A320 jet in Tianjin to six aircraft per month. A contract for the sale of 184 Airbus A320 narrow-body jets is expected to be finalized soon and Airbus also hopes to sell mid-range A350 and long-haul A380 passenger jets to China. Chinese officials assured Macron that they would respect market-share parity between Airbus and Boeing. Chinese online retailer JD.com announced plans to sell French goods worth €2 billion to Chinese consumers over the next two years, including wine and cognac. China also agreed to lift a 16-year-old embargo on the import of French beef within six months. “Our beef currently has no access to China for sanitary reasons. But with French beef consumption falling 5% a year, we have to find new markets,” said Economy Minister Bruno Le Maire, who was traveling with Macron, together with about 50 French business leaders. China imports nearly 1.1 million tons of beef a year, with 90% currently coming from Brazil, Uruguay, Australia and New Zealand. French officials also said talks were continuing about China’s ban on French poultry, imposed in 2015 after an outbreak of bird flu.